Joomla is one of the most influential, vigorous and feature-rich content management systems. As well being open-source, Joomla is competent of some really eye-catching designs through the use of modules and built-in display customizations. 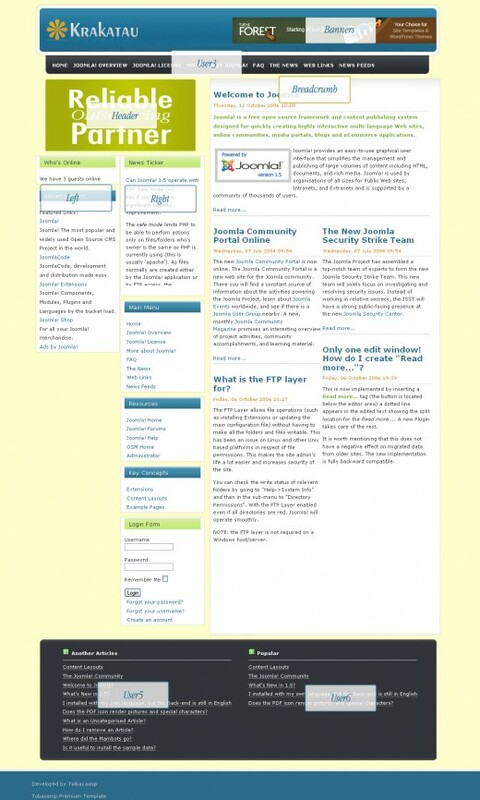 This following post is dedicated to Joomla users and those who wish to start with Joomla. Here are some beautiful and professionally looking Joomla templates from themeforest for your inspiration. 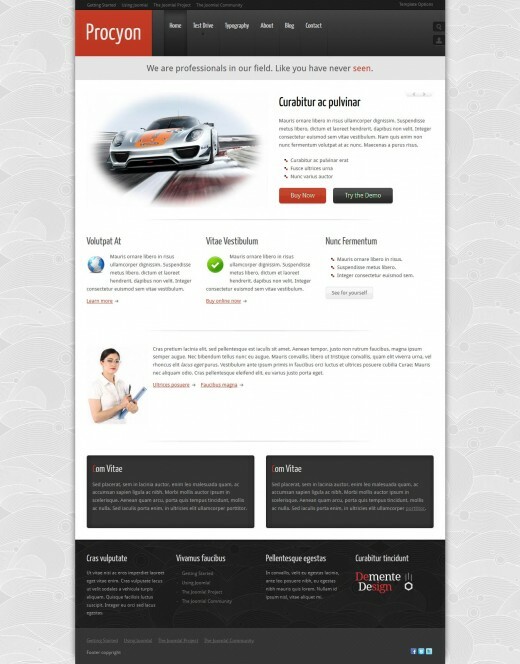 Procyon is a modern Joomla 1.6 template. It can be used for business but it can also be used for magazine, gaming and news websites. It is two column only but you can use the column module positions if you want more. 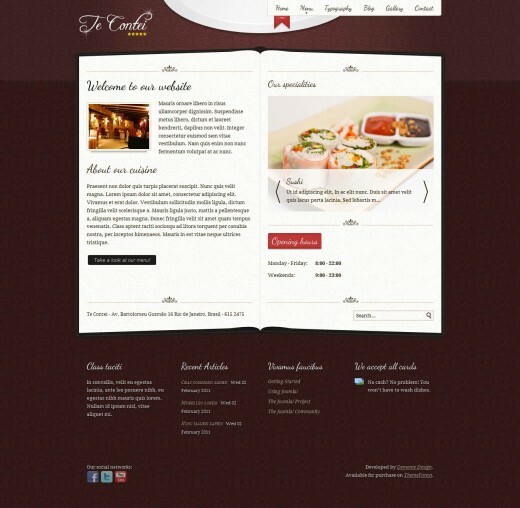 Te Contei is a stylish restaurant template for Joomla 1.6. It’s very simple to use and modify. Te Contei is not designed to show a lot of content but rather small bits with the relevant information for a typical restaurant website visitor (e.g. menu, telephone, reservations, parking, opening hours). 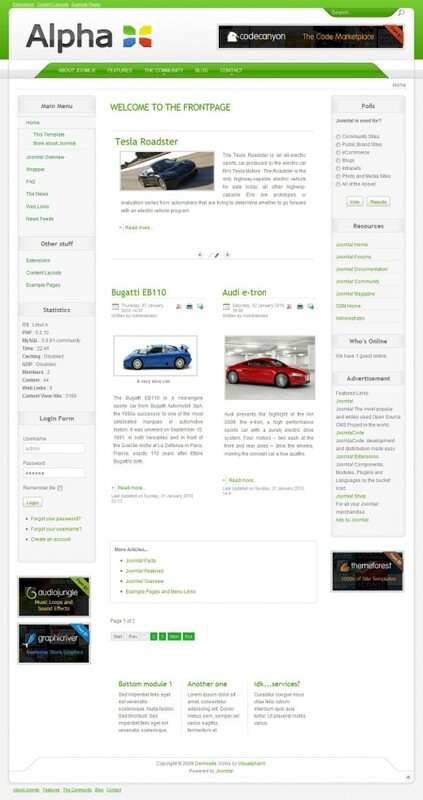 Abrax is a template for Joomla 1.5 also Joomla 1.6, based on gantry framework. 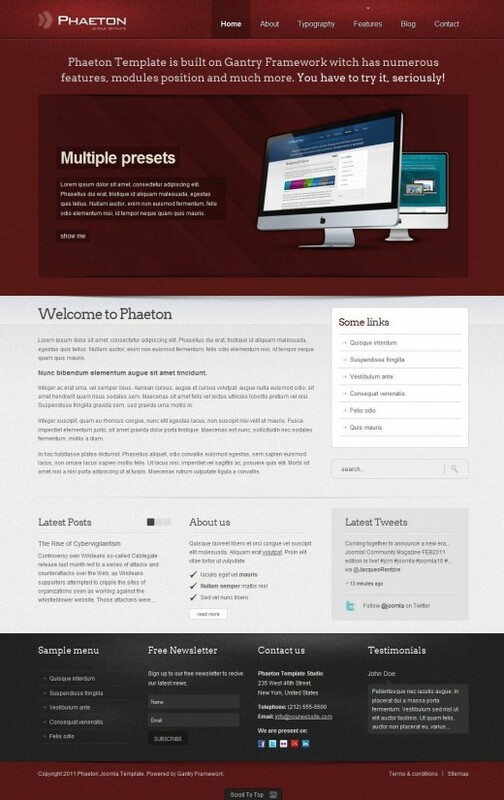 Phaeton is a modern & stylish joomla template, based on gantry framework. 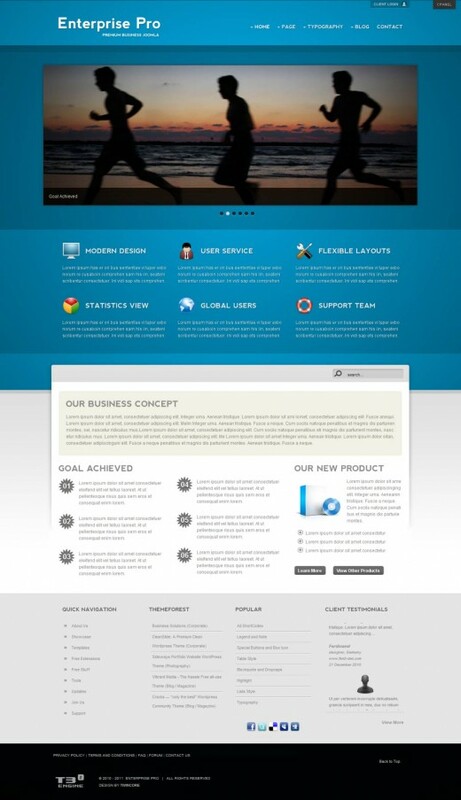 Enterprise Pro is modern and clean template for a Joomla! 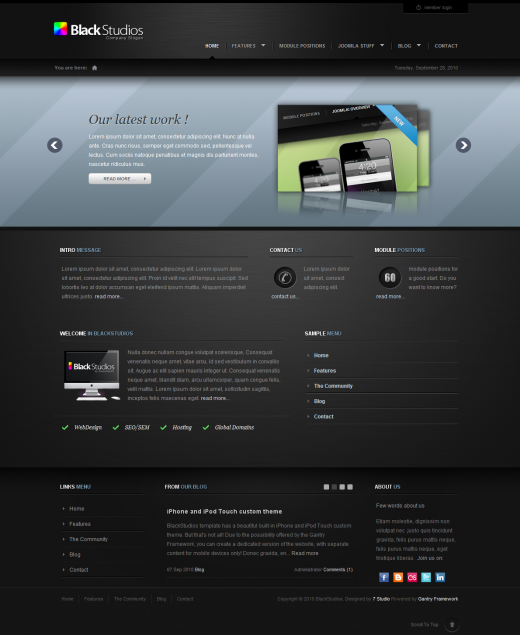 1.5 theme designed with businesses or corporate in mind. 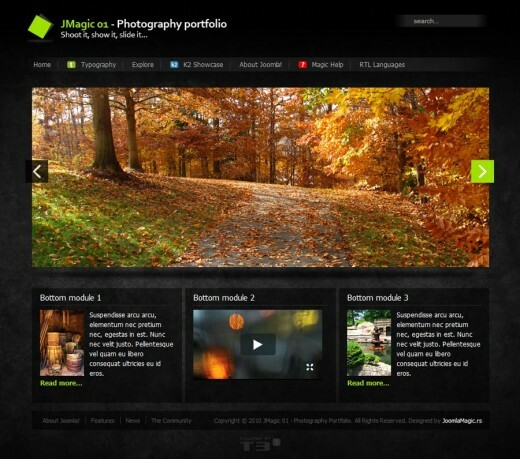 The theme is also well suited for creative, portfolios and blogs. Enterprise Pro templates run on T3 Framework v2. JMagic 01 is Joomla template suitable for all kinds of photo or design portfolios or personal sites, but you can use it for some other purposes as well. BlackStudios is a modern, clean and stylish template designed for Joomla! 1.5/1.6. Perfectly suited for web studios, creative agencies, product websites, blogs or portfolios. 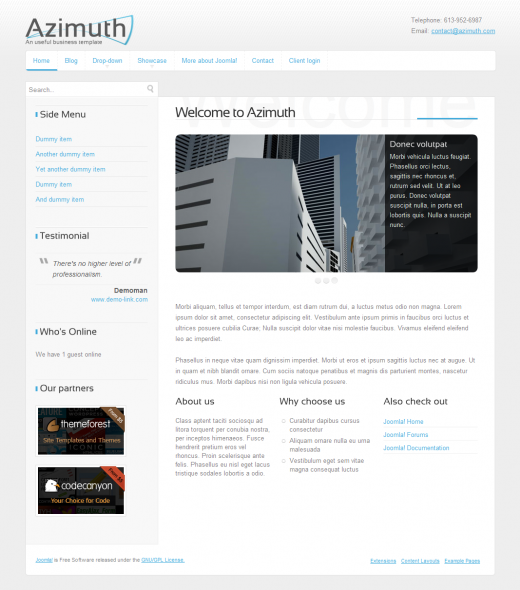 Azimuth is a clean template best suited for business and corporate websites. It has subtle visual effects and seven different color variations, one of which will likely suit your company’s colors. Alpha is a flexible Joomla! template that can be used for a wide variety of websites. 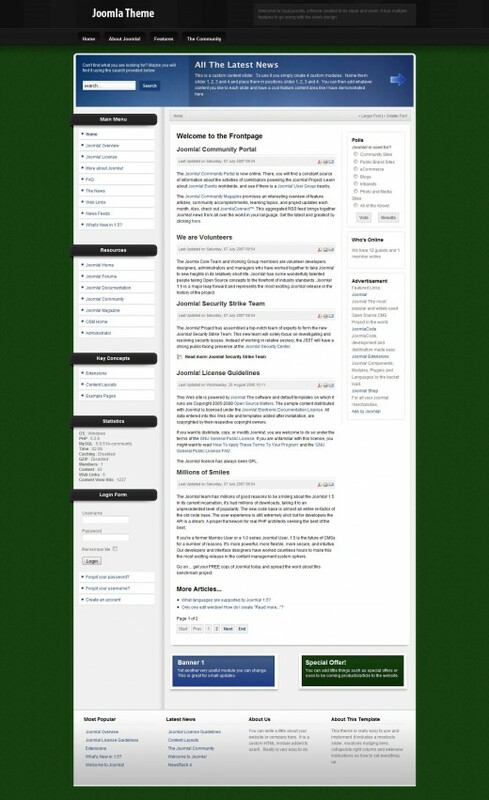 Royal Joomla is a sleek, fixed-width,1,2 or 3 column, wiki/article site styled joomla 1.5 native template. The beauty of the template comes in its simplicity and accessibility. Krakatau by Tobacamp, 3 columns joomla 1.5 template with 7 module positions. 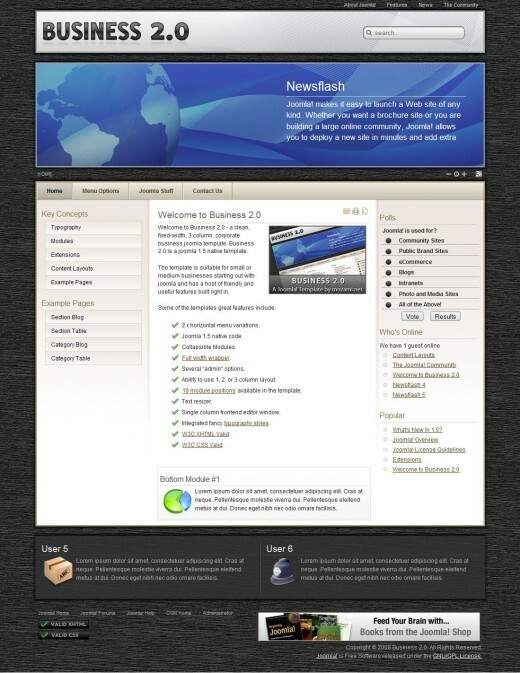 Business 2.0 – a clean, fixed-width, 3 column, corporate business joomla 1.5 native template. The template is suitable for small or medium businesses starting out with joomla and has a host of friendly and useful features built right in. Thanks for your time and work collecting and listing these great themes for us. Definitely will use some of them in my future projects. nice templates collection..all is very well..thanks.